Orders placed on Friday after 12 PM will begin processing on the following Monday. 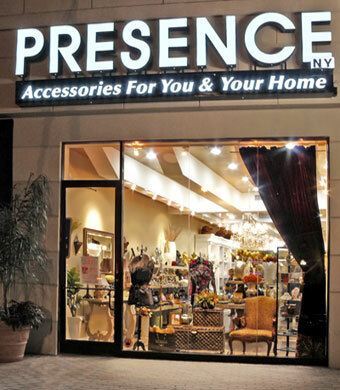 Presence NY will contact you with a follow-up email if the merchandise you have selected is not currently in stock or if we need additional information for credit verification. We use UPS shipping carriers exclusively. Sorry but we do not ship to P.O. Boxes. Credit Card authorization and verification must be received prior to processing. UPS deliveries occur Monday through Friday, excluding holidays. DELIVERY TIME DOES NOT INCLUDE SATURDAYS, SUNDAYS, OR HOLIDAYS. If you place an order using different billing and shipping addresses you may be asked to provide further information. We do this to protect our customers against fraud. This may delay the shipping process. Please note that the pre-order delivery dates listed are approximate ship dates. We are unable to guarantee delivery dates for pre-order items due to unforeseen delays by the manufacturers. If for some reason we can not fulfill your request you will be automatically contacted and refunded. If you would like to cancel a pre-order we must be contacted within 48 hours for a full refund. Any pre-order cancellations after 48 hours can only be canceled for an online store credit. If you are unhappy with your merchandise upon arrival the standard Return Policy applies. You have 15 days from the day you receive your merchandise to cancel for a refund and 30 days for an online store credit. Final sale items can not be returned or exchanged. Once an order is placed for any monogram merchandise it can not be canceled. You will be automatically charged when order is submitted. Custom merchandise is special made and can not be canceled or returned once purchased. • All monogrammed and embroidered totes, cosmetic bags, jewelry, wallets, spa wraps, robes, slippers, beach bags and blankets. • Special ordered jewelry such as Jennifer Zeuner, John Wind, Zoe Chico. Any pre-order or monogram jewelry can not be canceled or refunded.